Following The Daleks, here comes the ultimate celebration of the Doctor's companions and friends, from Ian, Barbara, and Susan in the very first episode through to Clara in the current series. It also includes David Tennant's Tenth Doctor's companions Rose Tyler, Martha Jones and Donna Noble. This lavishly illustrated collectors' volume contains many rare and previously unseen photos, and includes a wealth of features and interviews, celebrating 50 years of Doctor Who. Click here to order online for £9.49 from Forbidden Planet. Worldwide shipping available. Shipping from 11th August 2013. 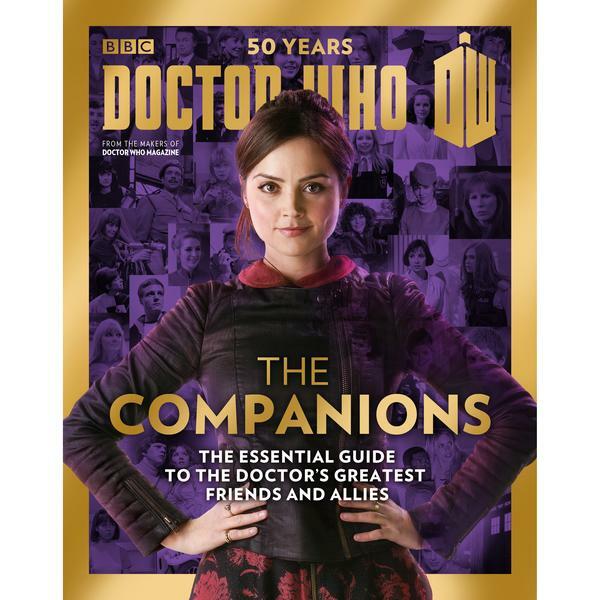 Celebrate a half century of the BBC's hit series Doctor Who with a brand new magazine and figurine series that covers 50 years of Doctor Who history, including every Doctor and all the greatest monsters from Daleks to Weeping Angels. 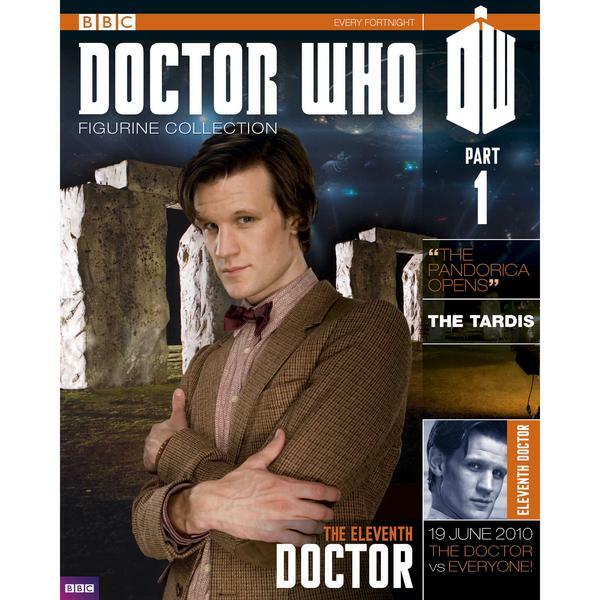 The first issue features the Eleventh Doctor from 'The Pandorica Opens' at the special introductory price of £2.99! Then continue your collection in issue #2 with Davros from 'The Stolen Earth', in issue #3 with the Cyber Controller from the 'Rise Of The Cybermen'/'Age Of Steel'; and in issue #4 with the Weeping Angel (Angry) from 'Time of Angels'/'Flesh & Stone'. You can pre order your copies to be delivered directly to your door via Forbidden Planet here. They will ship from 1st September 2013 and they ship worldwide. 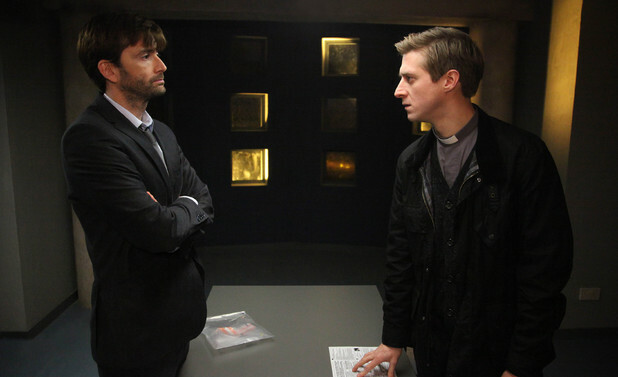 USA: Episode 1 Of Broadchurch Is Available To Watch On BBC America On Demand Now! Conway Corporation See Nothing? Say Something! First Broadcast on 12th April 2008. Running Time: 48.13 Minutes. Viewing Figures: 9.0 million. 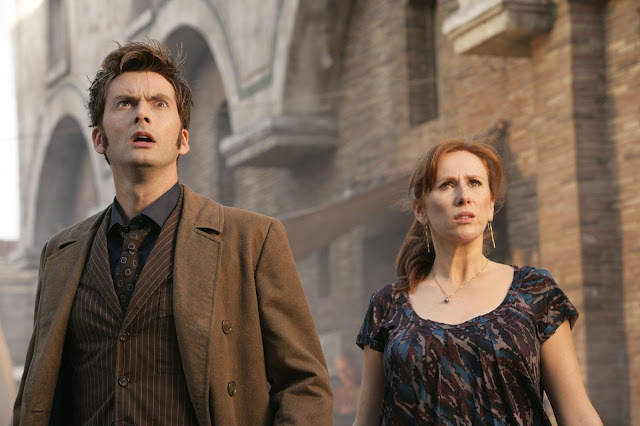 When the Doctor and Donna travel back in time to 79AD, they discover psychic powers and beasts of stone running riot in the streets of old Pompeii. The time-travellers face their greatest challenge yet - can established history be changed, or must the Doctor let everyone die? David Tennant was recently interviewed on the set of his new comedy film, What We Did On Our Holiday, by SFX magazine, and what else could they ask him about other than his eagerly anticipated return to Doctor Who.. The shirt is available until midnight ET /5am BST for just $11 plus shipping. Teefury are happy to ship worldwide. Roll up! Roll up! Roll up for a grrreat new book by the amazing Emily Gravett! Take your seat in the front row and watch in wonder as three cheeky little circus pigs make a wild wolf jump through hoops (literally), endure feats of astounding derring-do, and even withstand perilous games of dress-up. Safe in the thought that "Wolf Won't Bite!" they even put their heads between his jaws . . . but can you push a wolf too far? Sure to strike a chord with anyone who has both a pet and a young child, this is a very funny and playful story with a snappy ending! Visit their website to download a tie in activity sheet here. The Grierson Trust have today released details of the shortlists for the Grierson 2013 British Documentary Awards in association with Sky Atlantic and Coutts. 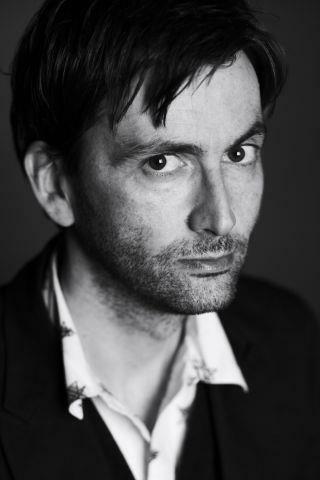 Two programmes featuring David Tennant are among the nominees. 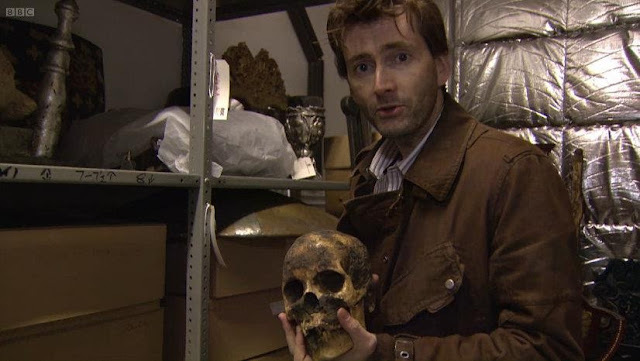 David Tennant will be featured on ITV's You Saw Them Here First on Wednesday 7th August at 8.00pm . 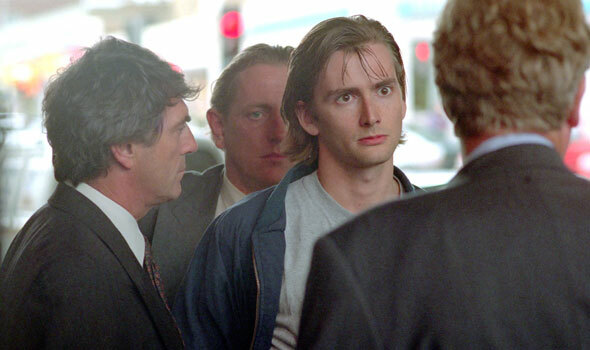 A clip of David in his 1995 episode of The Bill "Deadline" will be shown. 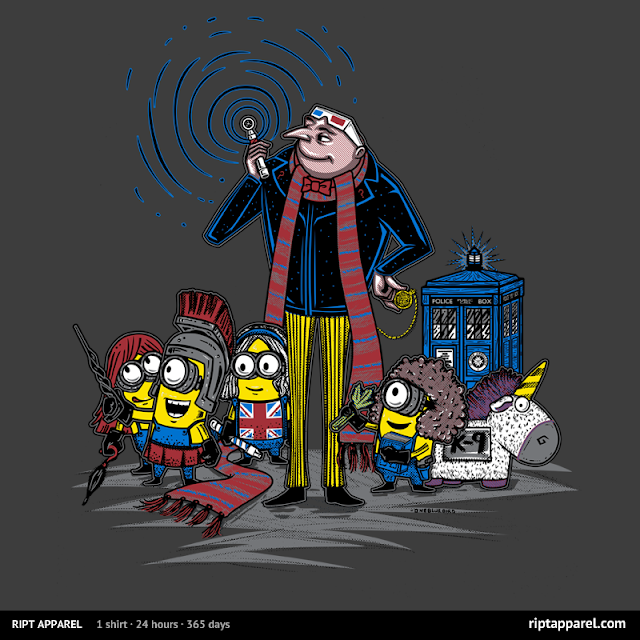 Our friends at RIPT Apparel have two Doctor Who / Despicable Me crossover T-shirt s up for sale today. First up is "Doctor Gru", a brand new design featuring Gru from Despicable Me outside the TARDIS dressed in some rather familiar clothing and clutching the Sonic Screwdriver, also present are the Minions who are looking equally suitably Whovian. Also the "The Minions Have The Phone Box" design featuring the iconic TARDIS being carried away by the minions is back by popular demand and is available today for twenty four hours only. Both designs retails at just $10 each and are available until 4am GMT / midnight EST on 30th June. However there is a great promotion on so if you buy BOTH designs(in any size or product) you will receive $1 off your order instantly. BBC America have posted a new trailer for the acclaimed eight part crime drama series Broadchurch which premieres next Wednesday. The trailer, 'Fans Spread The Love On Twitter', features tweets from some of the many celebrity followers of the show, including Torchwood star Kai Owen and comedian Sarah Millican. 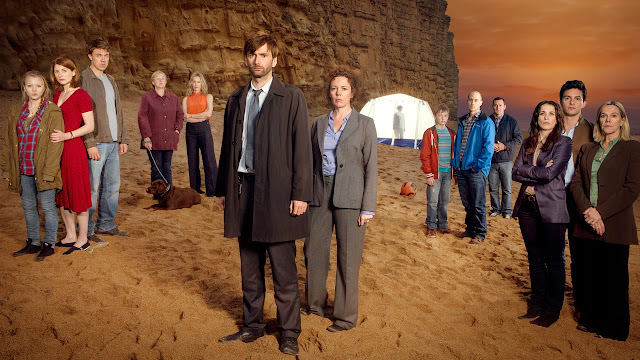 Broadchurch was the most tweeted about UK drama ever when it was screened in the UK. Broadchurch follows the investigation into the murder of a schoolboy in a sleepy seaside town in the south-west of the UK. As well as being a traditional whodunnit, it also explores the impact of the crime on the small community and how grief and suspicion cause neighbours and friends to turn upon one another as the secrets of the residents are revealed. 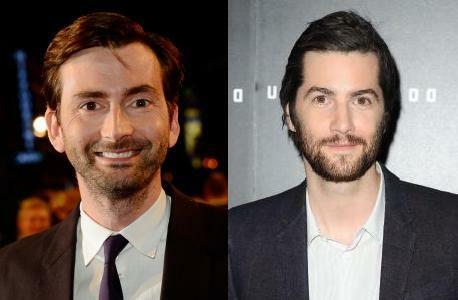 The drama stars David Tennant, Olivia Colman, Arthur Darvill, Jodie Whittaker and David Bradley. Broadchurch premieres on BBC America on Wednesday 7th August at 10pm/9c. The BBC America blog Anglophenia have launched their third annual Anglo Fan Favourites Tournament. Thirty-two British (and Irish) men will be pitted against one another in a series of face-offs until only one is left standing - the 2013 Champion. As usual its up to the fans to make their choice and decide who is going to be the Anglo Fan Favourites Man of 2013. 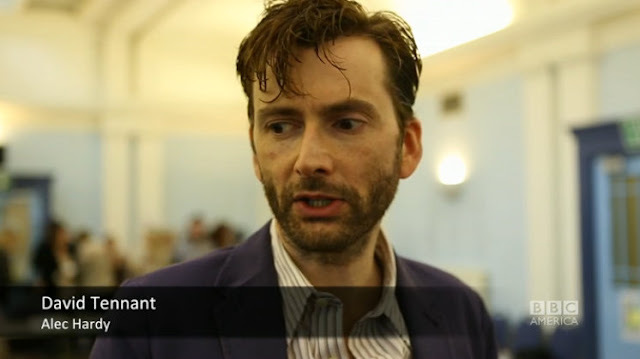 BBC America have added a video of the Broadchurch cast meeting up for their first read through in London last year. The clip, filmed at Bloomsbury Baptist Church, includes interviews with David Tennant, Jodie Whittaker, Olivia Colman, Will Mellor, Vicky McClure, Arthur Darvill, Pauline Quirke and Andrew Buchan. "These are always sort of weird days," says David Tennant, "Especially when it's a brand new production as this is, just because everyone's a little bit disorientated, a little bit nervy, everyone's finding their place"
"I don't like read-throughs, I find them really scary, " adds Olivia Colman. Broadchurch explores the impact of the brutal murder of a schoolboy on a sleepy seaside town on England's west coast. David Tennant and Olivia Colman star as the two police detectives charged with solving the murder and keeping the peace in a community torn apart by grief and suspicion. The Russell T Davies era of Doctor Who has been named as Cultbox readers favourite era of the show. Davies' tenure which starred both David Tennant and Christopher Eccleston as the Doctor topped the poll with an impressive 44.4% votes. It's nearest competition came in the form of current showrunner Steven Moffat and his Doctor played by Matt Smith who scooped 27.9% of the votes. Davies' series included some iconic episodes of the drama, including the epic Doomsday and The End Of Time and he managed to secure big name guests for the series including the likes of Sir Derek Jacobi and the pop star Kylie Minogue. He is credited with introducing the show to a wider audience including picking up a strong female following for the series by introducing us to companions Rose Tyler (Billie Piper), Martha Jones (Freema Agyeman) and Donna Noble (Catherine Tate). Davies also created the spin off series The Sarah Jane Adventures and Torchwood during his time on the show. The below article features minor script spoilers. 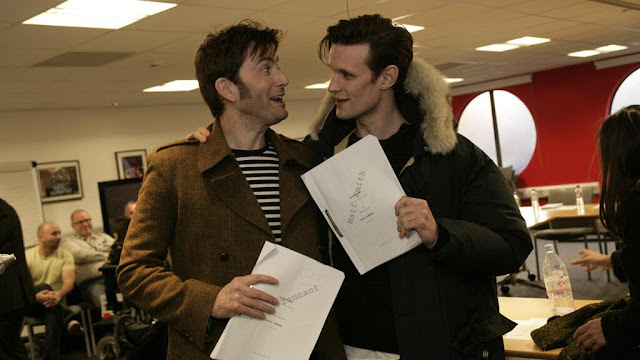 Today's issue of the Daily Star reports on a few exchanges between the Tenth Doctor (David Tennant) and the Eleventh Doctor (Matt Smith) when they first set eyes upon each other in the TARDIS. 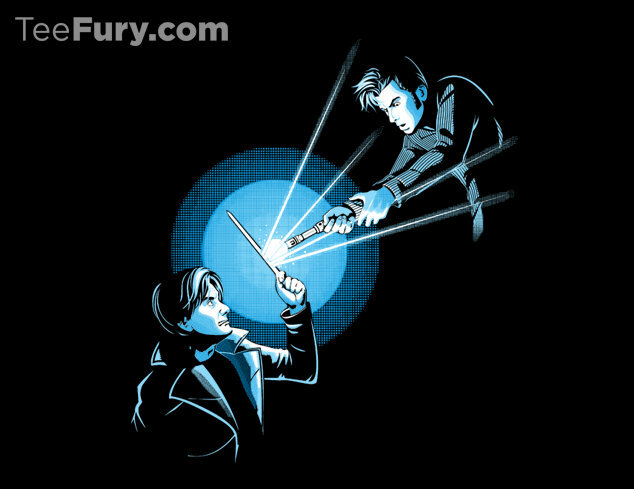 Eleven whips out his impressive sonic screwdriver and boasts to Ten "Mine's bigger than yours!" Ten hits back with a snipe about the new TARDIS design "You've redecorated ... I don't like it." However initial rivalries will be put to one side as the duo team up to battle the Daleks and the Zygons. The scenes were shown as part of the now infamous Comic-Con exclusive trailer.